Conservatories are most often a gateway to your garden, a room filled with natural light that is a pleasant retreat during summer days, bringing the outdoors in. But what about the rest of the year? Modern bespoke conservatories offer a very attractive solution to extending your home, creating a space that is versatile yet stylish. 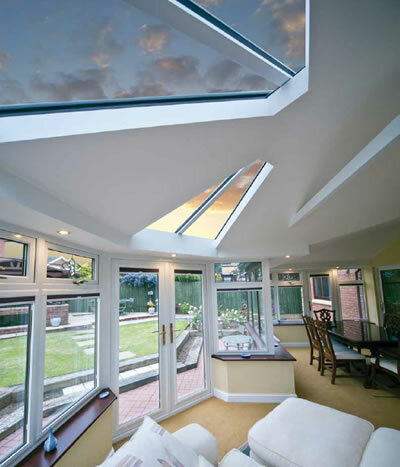 While still being that summer sanctuary, your modern conservatory can be enjoyed all year round with some innovative design and thermally efficient roofing options. Instead of being a space that you just clear out in the spring and dust down the cane furniture, a modern bespoke conservatory can be integral to your home all year round as a living space, dining area, games room, home office or studio. A bespoke design that sets out to deliver a conservatory that looks more like a room from the inside but is still bathed in natural light, is achieved by utilising a light weight roof that is part solid and part glass. The configuration of solid and glazed sections of the roof is a key part of the design. Arranging the position and number of glazed sections determines where and how much light enters the space, with consideration to how much solid ceiling area there will be with a sleek plastered finish. 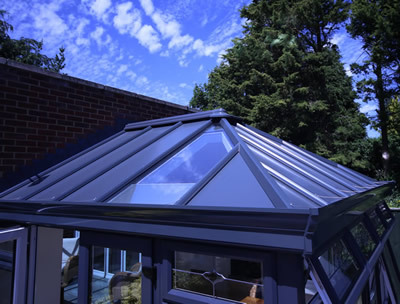 The roof is lightweight, so a conservatory frame is able to take the load and is made thermally efficient by the high density insulation between the interior solid finish and external poly-carbonate panels. The glazed sections are made up of specially selected, A rated double glazing that utilises coated low-e glass to control solar heat. With this type of modern roof solution conservatories are cooler in the summer and much more efficiently heated in colder months. 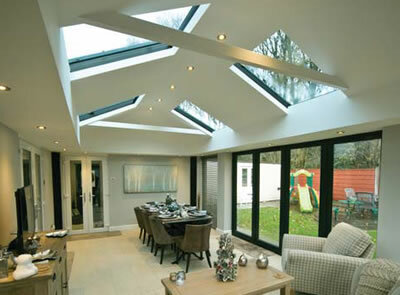 Another important element of bespoke conservatory design is the type of doors. Your choice of doors will largely depend on what they open out upon. To maximise synergy between room and garden, bi-folding doors are a popular choice, allowing for the space to be opened out completely to stunning effect. Where multiple exits are required, patio or french doors are a more practical solution with equal style. No matter which County Windows door solution is chosen for the project, they will naturally be thermally efficient and will have excellent security features. 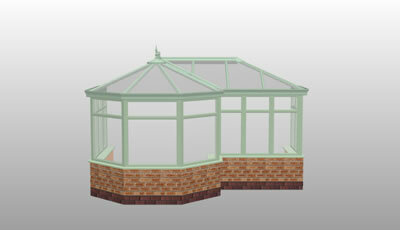 Each bespoke conservatory starts with Digital 3D Design where all requirements and location details are considered. There are a number of traditional conservatory styles and shapes which can be tailored and developed into the perfect design for each project and then superimposed on to an image of your home for an excellent visualisation of how the finished conservatory will look. If you already have a conservatory but want to enhance the style and thermal efficiency, then a conservatory upgrade is a fantastic option. While retaining the original foundations and brickwork, your upgrade design could be just a change of roof that will make an amazing transformation and provide all year round comfort. It’s still all about the roof but upgrading is an opportunity to review doors, glazing, interior lighting and power points to ensure this project meets the requirements of your lifestyle and the intended use of your upgraded conservatory space. 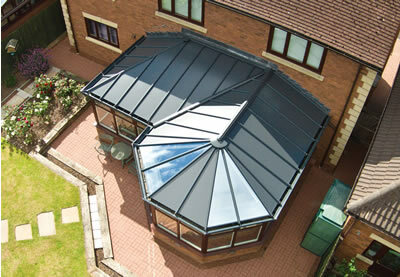 County Windows, your leading local bespoke conservatory design & installation company.